Enjoy the best inspirational, motivational, positive, funny and famous quotes by Anitere Flores. Use words and picture quotations to push forward and inspire you keep going in life! Over the last year, the RNC has made an unprecedented effort to engage Hispanic communities across Florida and around the country. 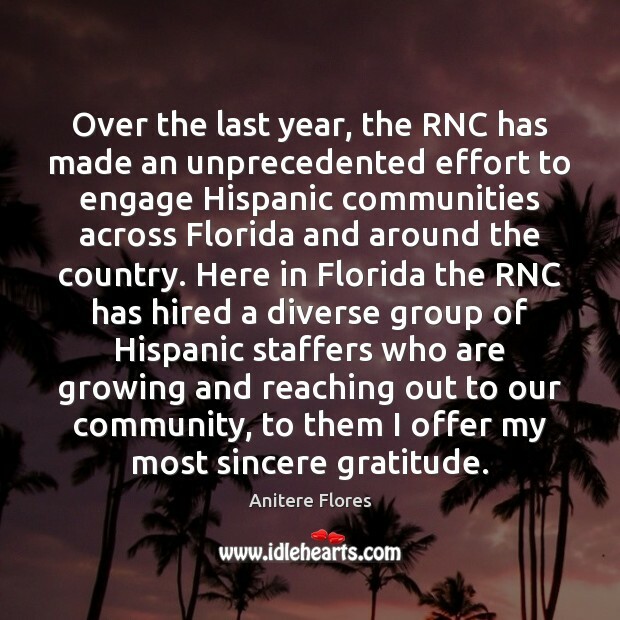 Here in Florida the RNC has hired a diverse group of Hispanic staffers who are growing and reaching out to our community, to them I offer my most sincere gratitude.